Cut beef into thin strips (beef is easier to cut if partially frozen, about 1 1/2 hours). Heat oil and garlic pepper in 10-inch nonstick skillet over medium-high heat. Cook beef in oil, stirring occasionally, until brown. 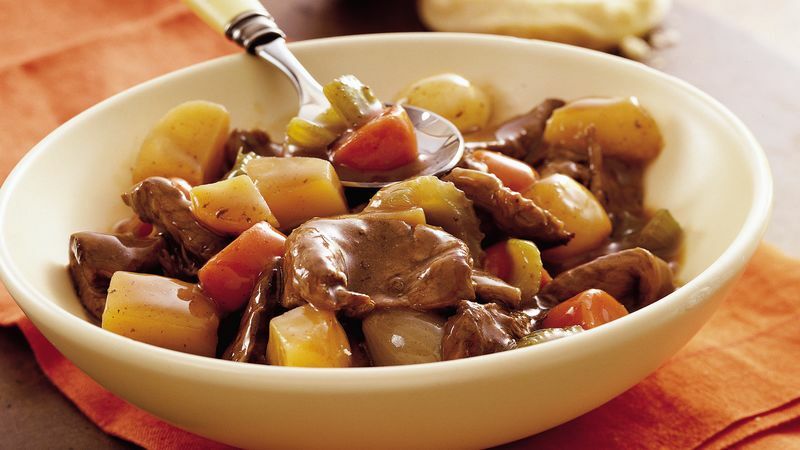 Stir in vegetables and gravy; reduce heat to medium. Cover and simmer 7 to 9 minutes, stirring occasionally, until vegetables are tender. Boneless, skinless chicken breasts and chicken gravy can be substituted for the sirloin and beef gravy to create a whole new delicious dinner. The frozen potato, carrot, celery and onion mixture called for in this recipe may be labeled "vegetables for stew" or "stew vegetables."